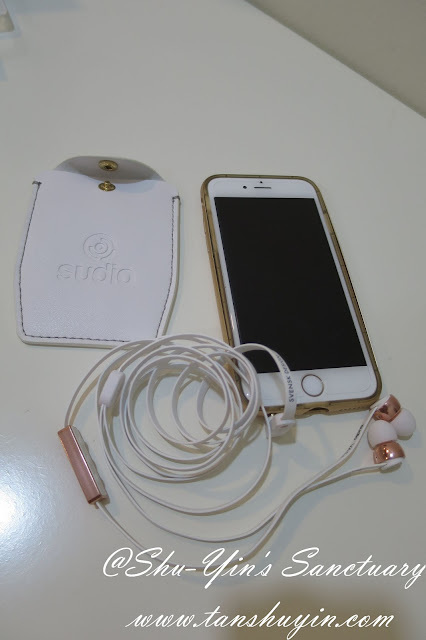 It was good that I had the opportunity to try out Sudio's earphones because before this I am not a music person. 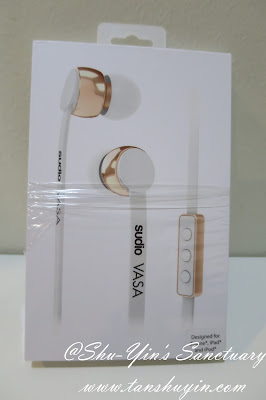 Let's see what is this Sudio's earphones all about - Sudio VASA Earphone. 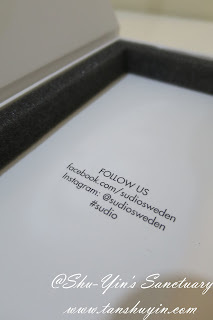 WHAT AND WHO IS SUDIO? 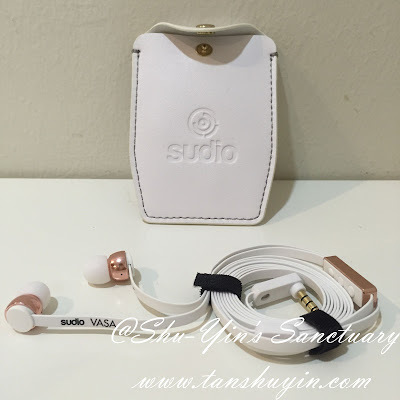 Sudio stands for elegant products with studio quality sound and exquisite quality. They want their customers should be proud of wearing and using their products. They strive for perfection in their customer service and they will always make sure customers get the a wow experience. It came in a small, bubble-wrapped package. 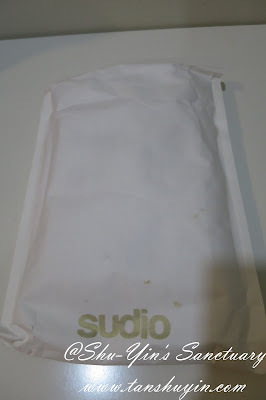 Underneath the bubble-wrap, was another bubble-wrapped paper with the brand name Sudio in it. 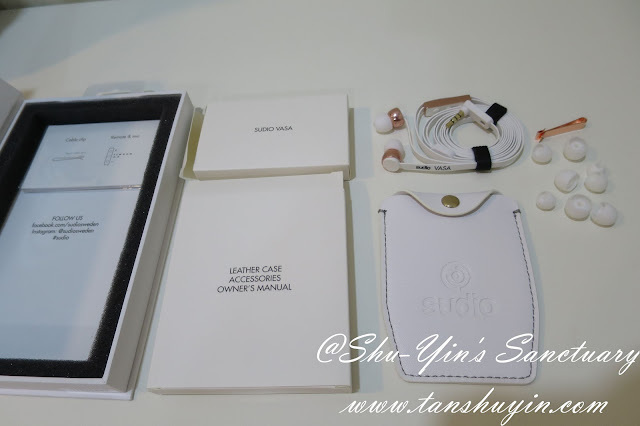 Unwrapping that was another layer or transparent zip-locked bag which protected the Sudio earphone box. 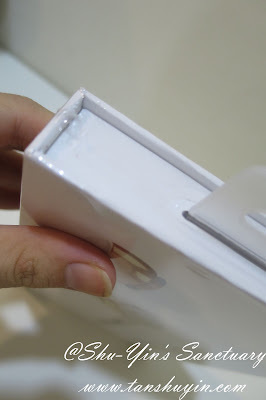 The box itself was also sealed with a thin layer of plastic. 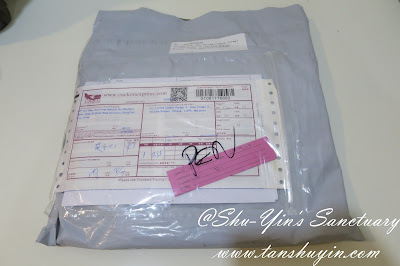 I must say that the product was well protected with its many layers of protective packaging. This is the front and back of the box, and the side. 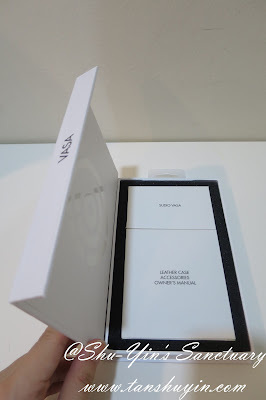 The design of the box is simple yet classy. 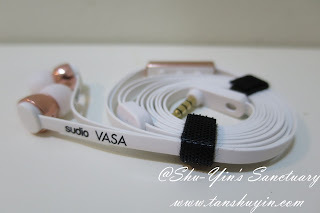 The front featuring a large photo of the product, name of model and my chosen colour - VASA in Rose Gold White. So now unboxing it revealed 2 smaller boxes inside the box. 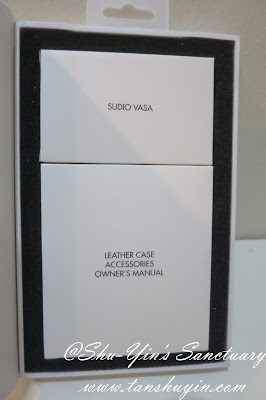 One box with the words SUDIO VASA, and the other LEATHER CASE , ACCESSORIES and OWNER'S MANUAL. Opening up the boxes, and this is what you see, all laid out on the table, quite a lot of things for such a small box. 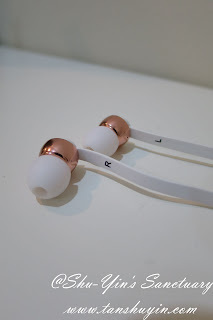 This is the star, the Sudio VASA in Rose Gold White earphones. 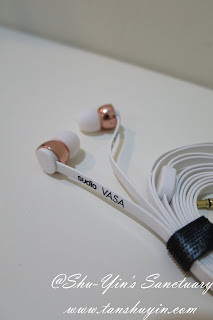 VASA is one of Sudio's premium models,which features a 10.2 mm driver, a full-feature 3-button and mic for both Android and iOS. This new driver claims that it enables the user to hear every detail, in every instrument, in every song, giving the user a unique and unforgettable sound experience every time. This I don't think I can vouch it all because this is a big claim. 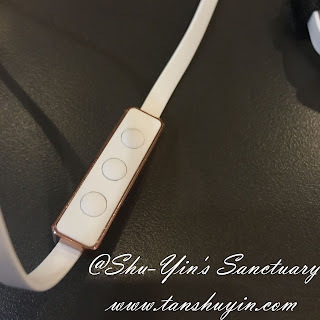 But I can say that the sound experience is pretty amazing when compared to even my trusty Apple earphones. 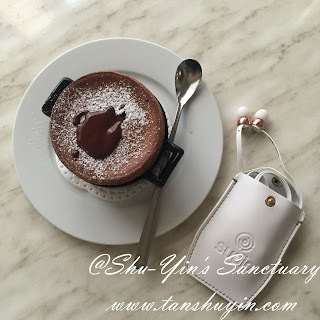 Sound is more sharp, smooth and clear. As for design wise, it is much more than pleasing. 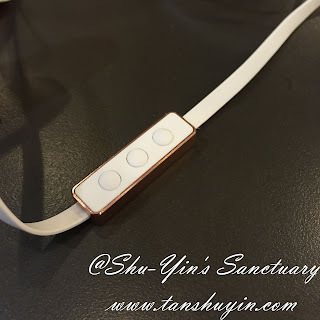 It is really beautiful with its high polished metal parts finished in rose gold. It has since been an envy of many. 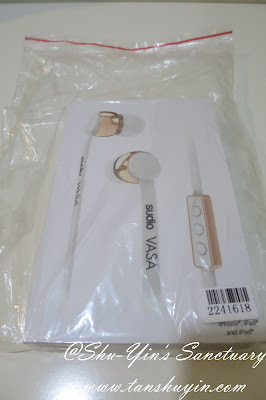 And as I am using the gold iPhone 6, this VASA in Rose Gold White earphone is the perfect companion for it! It came with 4 different sizes of earphone sleeves to my surprise. 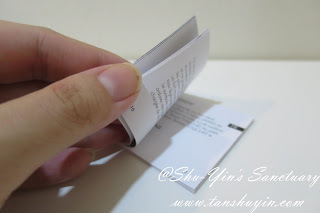 I appreciate this a lot as I tried the different sizes and found that the smallest sleeve gave me a right fit which is not too big nor too small . 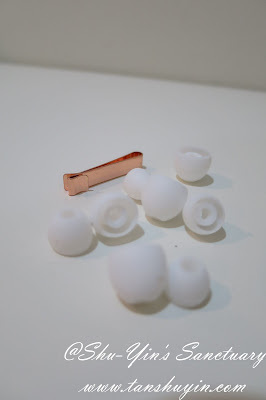 This choice of the right earphone sleeve size ensures maximum comfort during use. 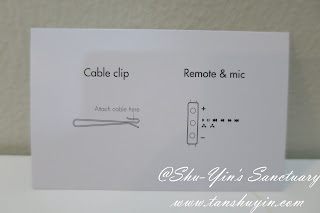 It also came with a metal cable clip for you to clip your earphone to your shirt, which truthfully I don't use much but it is a nice extra to have. 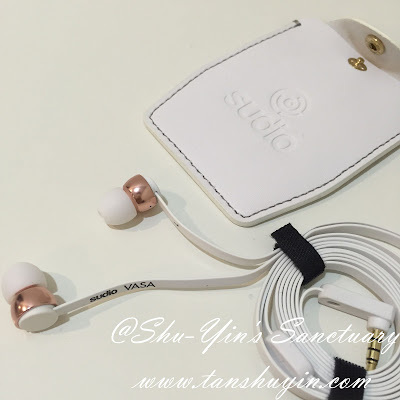 What I love most of the accessories is the classy genuine leather carrying case and mine came in white to match my rose gold/white earphone. 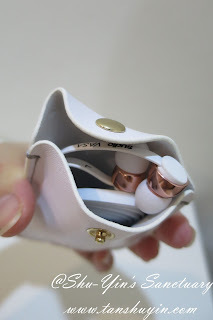 I hate tangled-up earphones in my bag and so I really appreciate the carrying case. 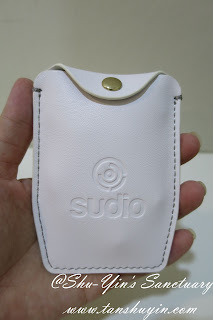 This case ensures no more tangled up mess in my bag. The case is also compact and just the right size to pop into any of my bag, even my small crossbody bag. 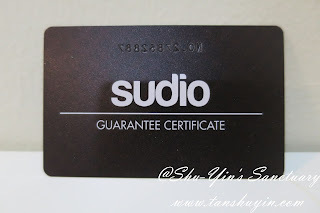 All Sudio earphones come with a Guarantee Certifcate to give you peace of mind as well. 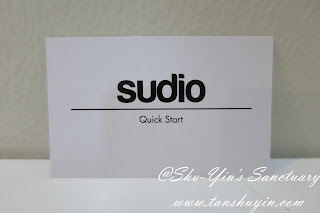 To the impatient ones like me, there is a Quick Start card to help you get started on how to use immediately. 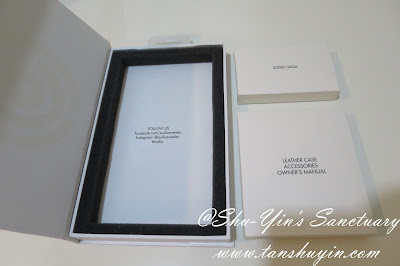 There is also an owner's manual that came with it, so fret not for those who loves reading manuals. But nothing much there that you can't find in the Quick Start card to be honest. 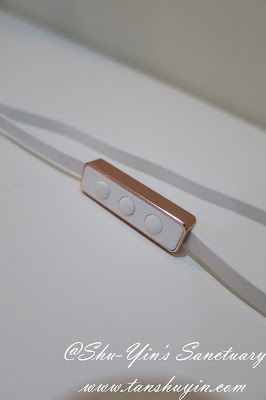 What actually won me over is this simple yet magical 3-button remote. When it says full-feature, I didn't know it can be sooo amazing. Besides the basic pause and play, you can practically control everything using these 3 buttons. Two pushes and hold down on the third - Rewind. It can even open up your Siri by holding down on one push, isn't it amazing? I call it the magic buttons! 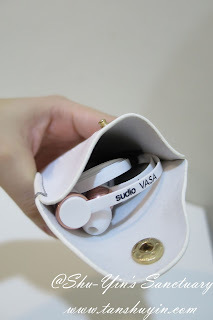 So you basically do not need to take out your phone from your pocket/bag unless you really wanted to see the title of your song or read the lyrics which are displayed on your phone. 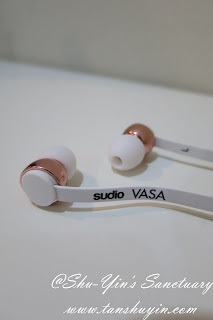 I've been bringing out my VASA earphones almost everywhere I go, especially in the mornings when both my 2 older kids are away in school, and just left me with my 3mo baby. 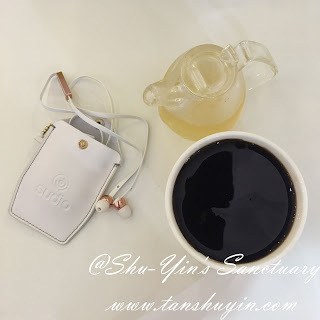 When he is asleep, I can take out my earphones and enjoy my morning break with clear and smooth songs in my ear. 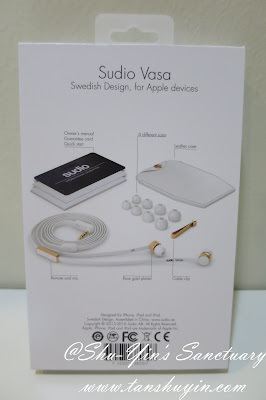 The earphones can also be used as a fashion accessory, VASA being so nice and posh and such. It is something you want to be seen with to be sure. 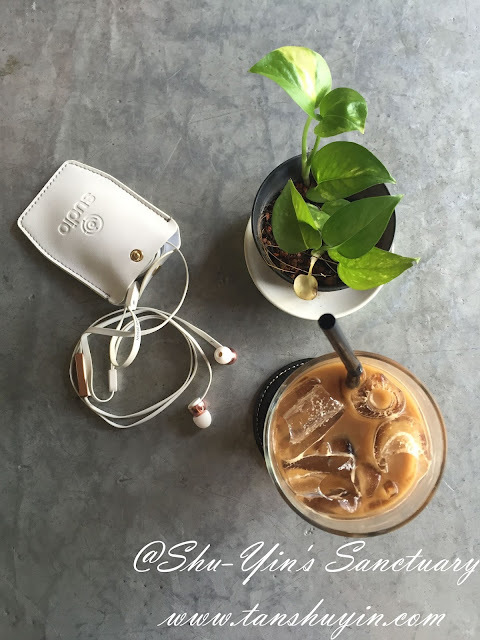 Sudio VASA and a cuppa iced chocolate. 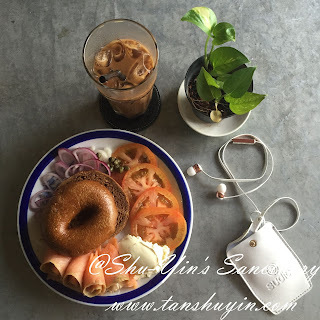 Sudio VASA and with New York Bagels, and Toasted Sandwiches, perfect morning breaks. 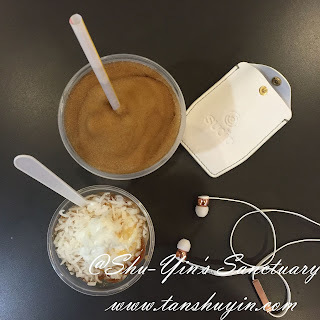 Sudio VASA and McDonald's Coconut Caramel Sundae and a cuppa Coca-cola Frozen to chill. 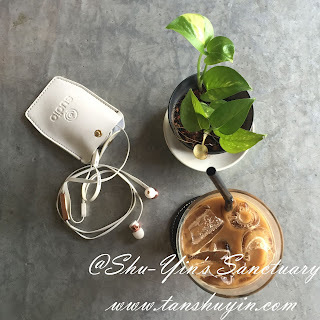 Sudio VASA with a bowl of Guai Lin Gou to cool off the hazy days. 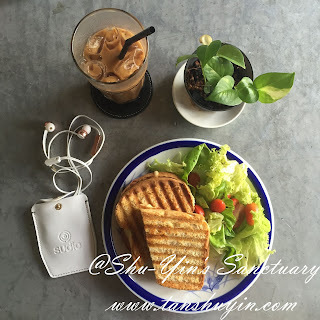 Sudio VASA and a glass of my favourite Miam Miam's Matcha Latte with Matcha Softee on a hot day.Sudio VASA and a hot Chocolate Souffle for a warm late night dessert. 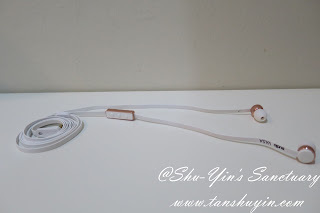 I would recommend this to someone who wants a good yet stylish earphones. 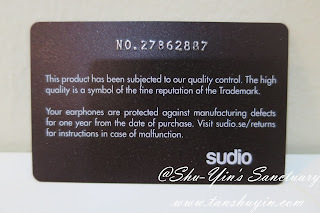 I would say that Sudio is successful in putting quality AND beauty into their earphones. 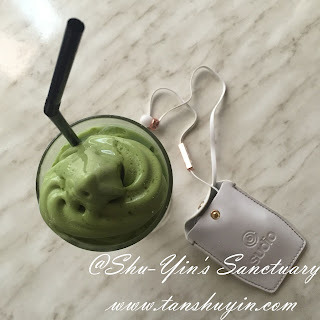 15% off ANY Sudio Earphones from now until 31 December 2015, using discount code 'tanshuyin' upon checkout. Please take note that shipping to Malaysia is FREE! 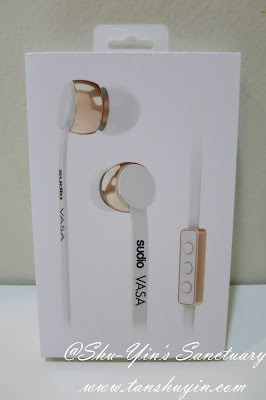 Disclosure: I received pair of Sudio VASA in Rose Gold White earphones for review purpose, but no monetary incentive was received. All text and opinions are of my own and represents my honest opinion of the product(s).